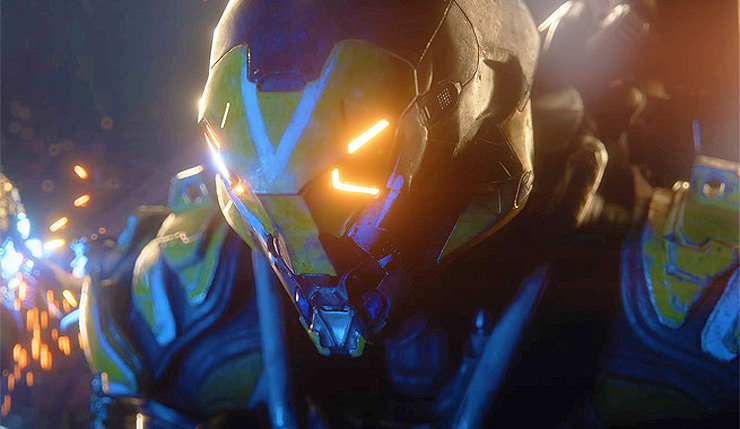 The release of Anthem is just a bit over a month away, and BioWare has opened the footage floodgates. Our latest look at the game comes courtesy of an a 40-minute-plus Anthem Developer Livestream led by producer Ben Irving and senior level designer Emily Taylor. The stream focuses on the Ranger Javelin, but also provides a glimpse at a variety of different weapons, and Legendary Contracts, the game’s difficult endgame missions. You can check out the footage, below. All Freelancers train on the Ranger first in Anthem. Not because it’s the easiest, but because it’s the most versatile. In the hands of a master lancer, the Ranger can achieve feats of combat prowess that no other javelin can touch. The Ranger javelin has a deep bag of tricks to draw from, and there is no combat situation it can’t take on effectively. With access to a wide variety of weapon types, the Ranger is a true wild card that can complement any team and any mission. An Anthem demo is set to drop in a few weeks. Origin/EA Access members will be able to play the demo on January 25, while everybody else will be able to give the game a spin on February 1. The demo will let players try out two Javelin classes (the Ranger and another unannounced one), explore the Fort Tarsis hub, and take on a small handful of missions. Players will start at level 10 and progress to level 15. Of course, Anthem is primarily a co-op game, so the demo comes with three invite codes you can distribute to your friends. You can find out how to claim the friend codes, right here. Anthem boosts onto PC, Xbox One, and PS4 on February 22, 2019.